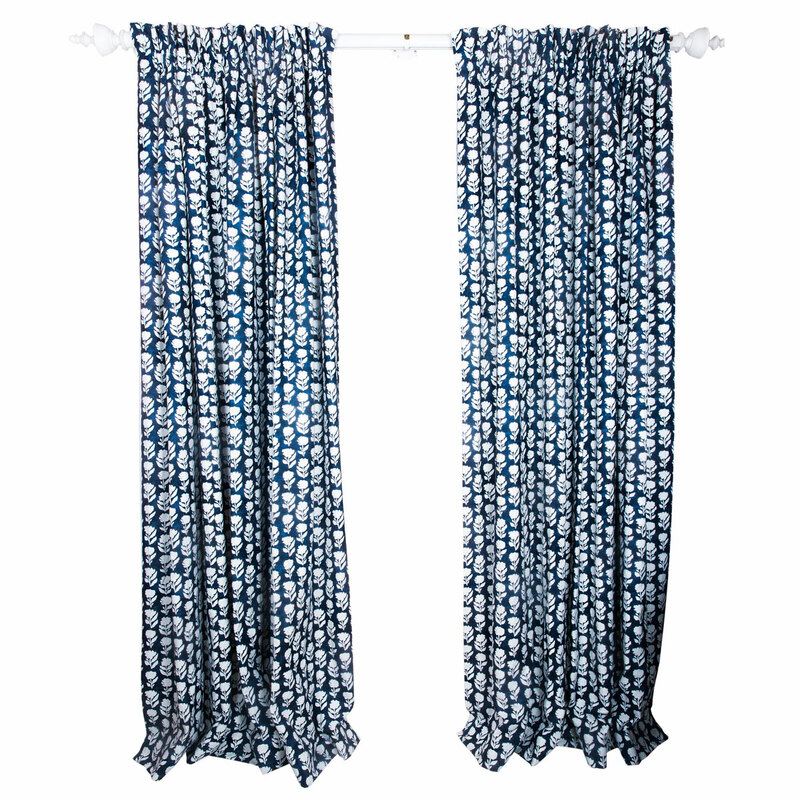 Custom-made pair of curtains in Anna Spiro Textile Marigold Solid Navy fabric. Centre-opening curtains with custom gathered heading and detachable blockout lining. Curtain rod not included.